The closest IKEA to Fair Isle is in Bergen! 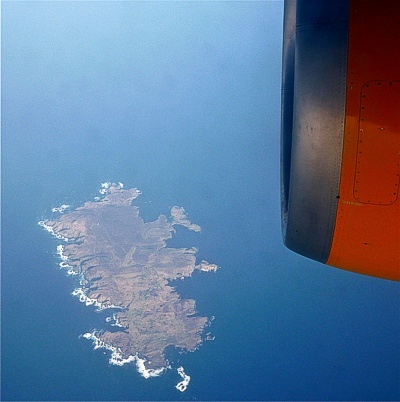 Fair Isle is an island in northern Scotland, lying around halfway between Mainland Shetland and the Orkney islands. It is the most remote inhabited island in the United Kingdom and is roughly equidistant from Sumburgh Head some 38 km (24 mi) to the north-east on the Mainland of Shetland and North Ronaldsay, Orkney, some 43 km (27 mi) to the south-west. Fair Isle is administratively part of Shetland.